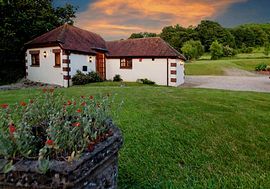 Old Dairy Cottage is available for both single night stopovers or a longer stay, maybe for a restful holiday in Dorset. 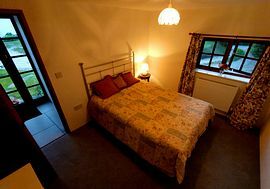 The cottage accommodation is for up to four people. 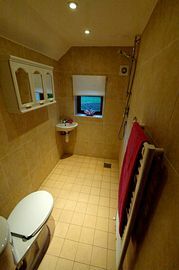 Old Dairy Cottage comprises one double room, a single room, wetroom with shower, living, dining and kitchen area,there is a patio area with barbecue and off road parking. 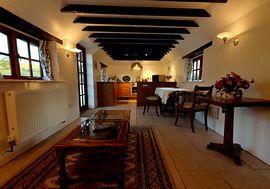 The accommodation is self catering, but we can provide a hamper of ingredients ready for a full breakfast in the morning, and there are many excellent local pubs and restaurants a short drive away. Whether you are travelling on business or for pleasure, the surrounding areas of Dorset have plenty of interesting attractions to visit: lovers of the countryside will adore the country walks from the door. The Purbecks and New Forest are nearby, and those who prefer the coast will enjoy Studland, Sandbanks and Swanage beaches, the Jurassic Coast, Poole Harbour and Brownsea Island. We also keep plenty of attraction brochures and local information for you to browse when you arrive. Country walks from the doorstep. Single storey cottage, although doors may be narrow for a wheelchair. Note, there is a small step into cottage. When travelling from Poole to Blandford along the A350, turn left into West End just after Spetisbury Church and Spetisbury Primary School. Drive under the old railway bridge, and Old Dairy Cottage is 100 yards on your left. 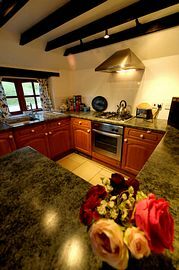 Cottage from £80.00 per night.